Notes: In 1896 Thos. Jones was listed as having a cheese factory and this one was on his land. Mike Gisler owner 1922; in 1947 it was a tavern and store that sold cheese and other items. In 1972 it became a residence and then a store again from 1974 to 1978. Biennial report of the Dairy and Food Commissioner of WI: Mt. Horeb RD 2 1930. In 1894 fined $50 for making skimmed cheese. Wisconsin Historical Society, Wisconsin Architecture and History Inventory- Architectural Style: Side Gabled. 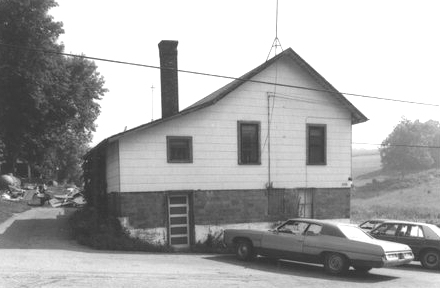 Converted to a house prior to 1980.